Jia Yang wood is portrayed as a very tall tree with large trunk while Yi Yin wood is generally pictured as flowers and plants other than tall large trees. If a Jia day master is strong, it means that it is already a full grown large tree. In this stage, first in order for it to achieve its highest potential, it needs Geng ／庚 yang Metal to transform it to valuable furniture and so on. If without Geng, then it also needs some amount of sunlight, enough earth to support its large roots system, and small amount of water. If a Jia day master is weak, it means that it is still in a very young age. In order for a young tree to grow healthy and tall, it needs to be nurtured with certain amount of water (either Ren/壬 Yang water or Gui/ 癸 Yin Water, Sunlight (Bin/ 丙 Yang fire), some earth (Best Chen/辰 Yin Earth, not Xu/ 戌 Yang Earh), and lastly very little Yang Metal to prune it to the upright shape. The key here for all elements except metal is balance, not too much or too little. Comparing to Jia, Yi is less strong and more delicate. In order for Yi to thrive, it has higher needs for its environment . Therefore, Yi people tend to have weak health than any other elements. Though don’t feel bad! To compensate this, the Yi people are generally prettier/ handsomer ;-). Now let’s take a look at Wood’s Characteristics: In general, Wood symbolizes humanity and kindness. Well balanced wood people are kind and generous. They generally are tall, confident and good looking. They may appear to be very calm and quiet, but actually they are straightforward, strong minded and competitive。Especial if they have a very strong day master, They can be very stubborn and unswerving once they set their mind on something–kind of “live free or die” type. In health, wood represent gallbladder and liver. Too strong or too weak wood day master people can have medical problem related with the organs the wood represent. Previous Which element is your day master? Yes, you are right! I have just realized that the people I know with Yi Wood Day Master are more handsome or prettier than others (at least good looking, LoL)! They also have poorer health. 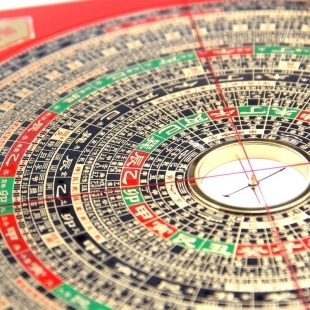 Comment is Only for simple question which can be answered with one sentence regarding either Fengshui or Bazi, Please include detailed birthday (Year, month, day and hour) and gender if your qeustion is related to Bazi. Due to limited free time, I can’t guarantee every question will be answered. If you have more than one question or complicated question please use paid service.